Based on in-depth interviews and two years of participant observation of felons, this book traces the career paths of such criminal types as the thief, the hustler, and the junkie, as well as the non-criminal “square john.” The career of the felon, from early environment to crime to prison to parole, is explored from the point of view of the felon himself, a viewpoint seldom considered by the “straight” society in which the felon must learn to function. Since its first publication, The Felon has quickly become a classic of criminal sociology. For this new edition the author has prepared a preface assessing the changes that have occurred since the book first appeared. 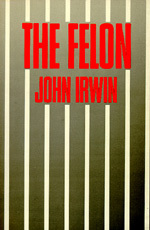 Engaging and readable, Irwin's description of the life of felons and his conclusions about the role of prisons in our society remain convincing and topical today.